It would appear that many residents and holiday makers alike are well and truly fed up with how few taxis service the Mornington Peninsula (especially the pointy end). We, at Peninsula Kombi Bus, certainly fall into that category which is why we’ve chosen to do something about it. In figuring out the best way to tackle the problem we brainstormed vehicles, price structure and coverage. It needed to be reliable, accessible and with a simple price structure. It didn’t take long to figure out that conventional taxi’s weren’t the answer knowing that attempts were being made to increase the numbers in this space with what seemed to be great difficulty. Regardless of this, however, a taxi can only carry four passengers which just isn’t enough when it comes to transporting the hoards between weddings, pubs, parties and special events. 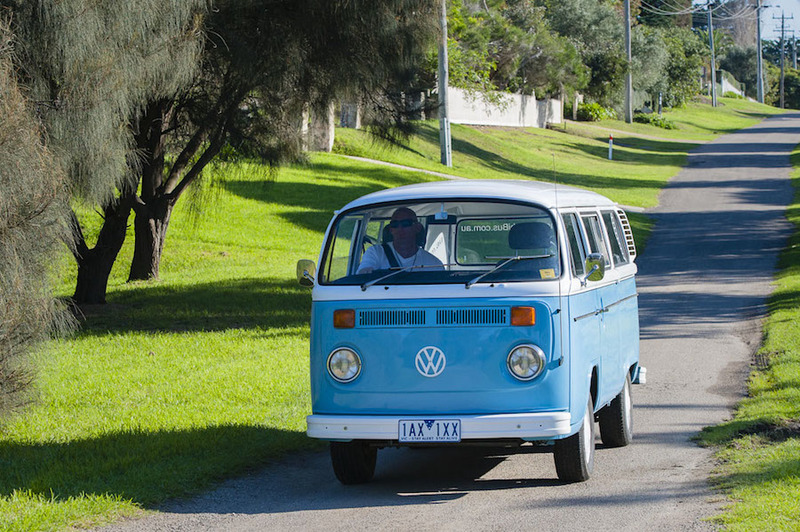 It didn’t take long to fall in love with the idea of having VW Kombi vans do the work for us. Not only could a vehicle such as this carry seven passengers but it’s in keeping with the iconic beach town surf vibe, old school cool. Running meters was also out of the question given the complexities of multiple pick-ups and drop-offs so we decided to simplify it even more. $15 a seat anywhere within the catchment area. That brought us to the area we wanted to cover. Given the unknown demand and limited resources, we have decided to start by only servicing suburbs between Rye and Portsea. We obviously hope to expand this range when we have a better idea about how to do so efficiently with more vehicles. So if you’re sick of waiting for a taxi and would like to try the Peninsula’s coolest transport service, give us a call on 0488 VEE DUB (0488 833 382).